we woke up to a beautifully sunny autumn day this morning in melbourne. pretty rare this time of the year – usually its cold, windy, sometimes rainy, and all round ‘stay in bed’ kind of weather. over the past week we’ve had a run of 20+ degree days and it’s forecast to end pretty soon. 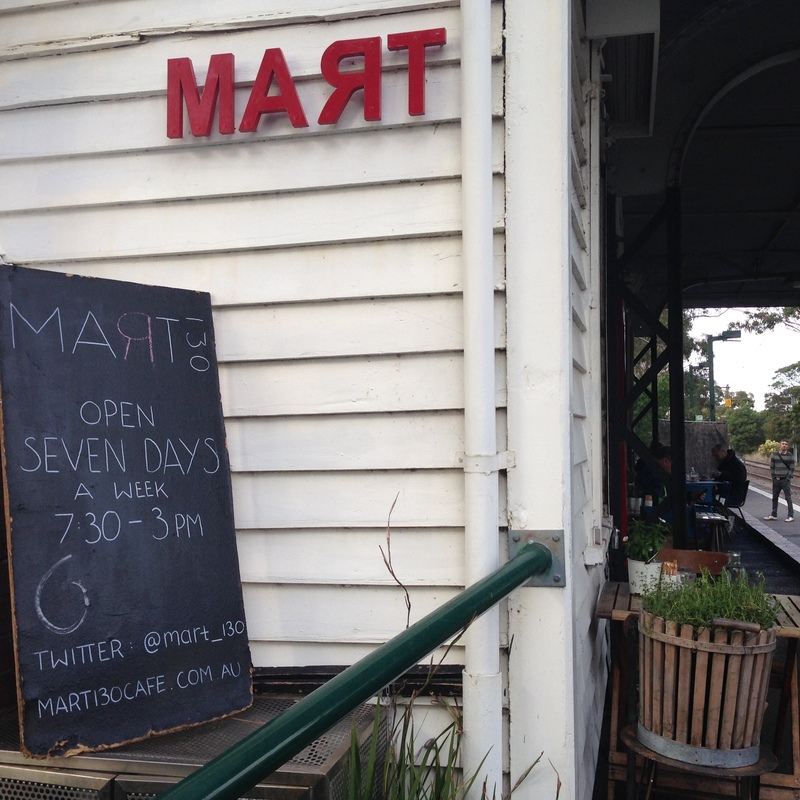 i was taking my chance while i had it and convinced the husband to walk down to mart130 cafe at albert park with me. it’s about an 8km round walk from home for us, with beautiful views around albert park lake. a few people have recommended mart130 to me over the past couple of months, and we’ve also noticed it over the years when attending the formula one grand prix. the cafe is located on the platform of the 96 tram, and is the site of the old middle park train station. 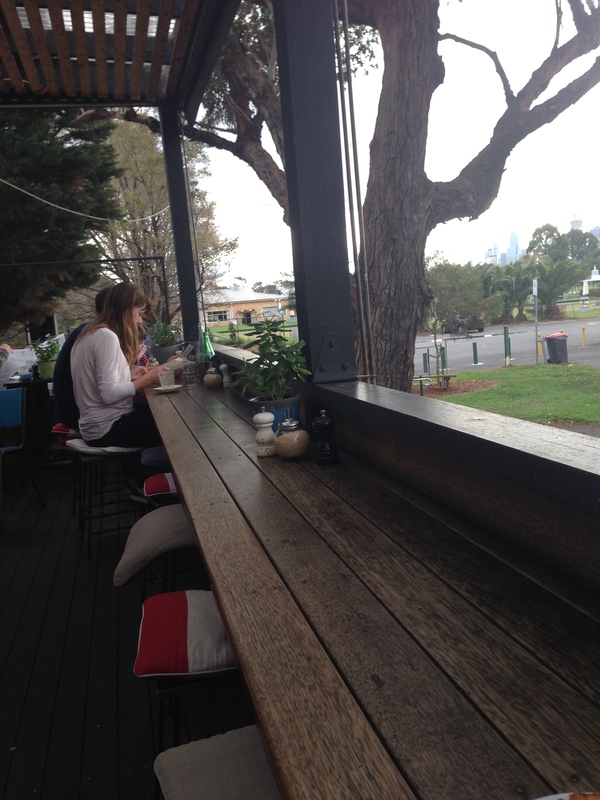 there’s a few tables and chairs literally on the tram platform + a great verandah out the back overlooking the park and with views of the city. as envious non-dog-owners at present, we also had a great time watching the pooches playing fetch in the park and reminiscing about our beautiful ‘pups’ who passed away last year. 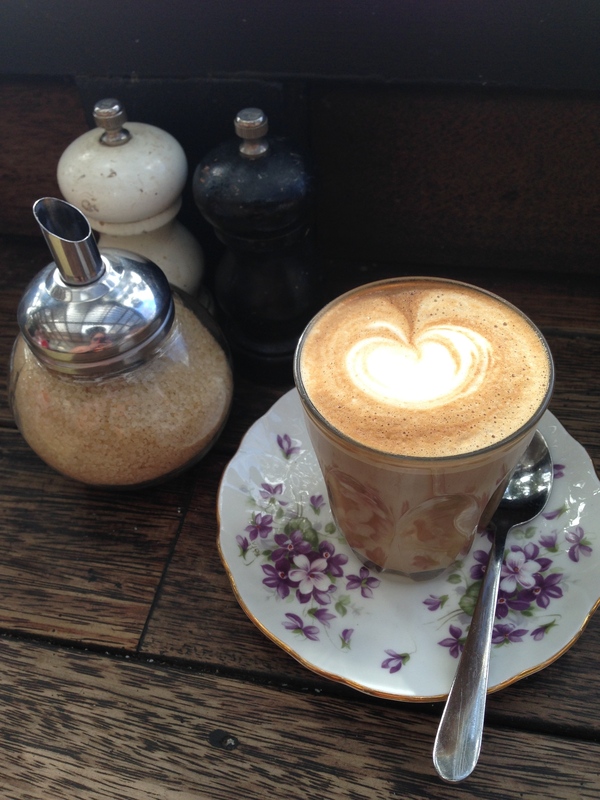 the coffee was quite good – very strong and robust flavour. certainly not in the same league as coffee-couture places like operator25 or oli+levi, but still enjoyable. 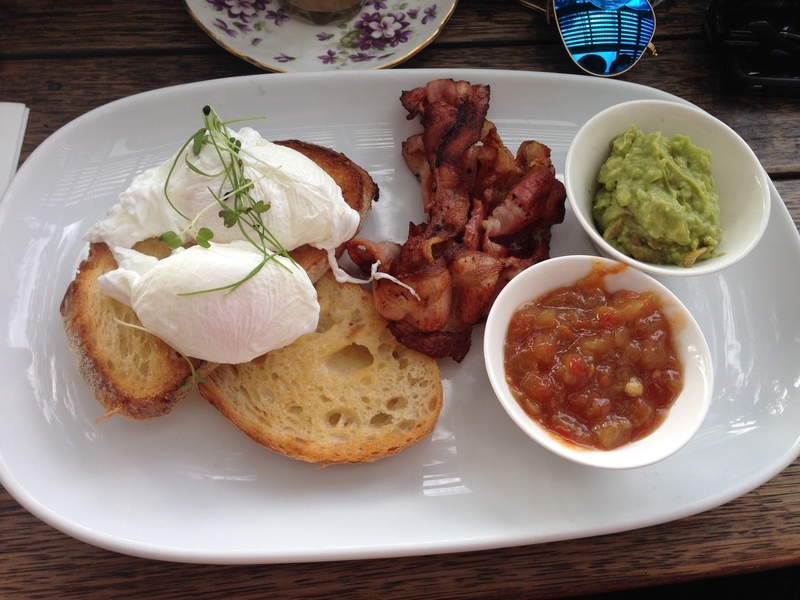 poached eggs with smashed avocado, bacon + tomato relish. i am in love with this tomato relish! oh my goodness – it was delicious! an almost chutney, almost salsa consistency with fresh tomatoes and onion. eggs cooked perfectly and the bacon was great. in retrospect i could’ve lived without the avo, but only because the relish was sooo good! bircher muesli topped with crunchy granola + poached fruit. this bircher was packed full of fruit! poached pears, rhubarb, cherries, raspberries, oranges, sultanans + berries. the pumpkin seeds, roasted almonds and grunchy granola ontop added great texture and flavour. the bircher itself was so creamy and soft it had me fooled for a cold porridge. overall everything tasted fabulous and i loved this dish! the staff were very friendly. 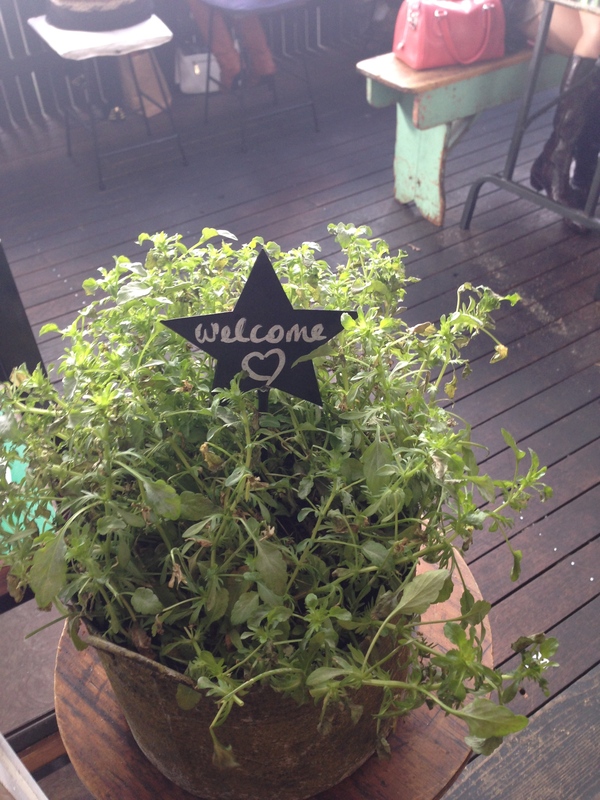 the menu is varied and exciting and the food was great! i would definitely eat here again. the only (minor) downside: cash only, which is a personal gripe of mine, so remember to hit the ATM before entering the park. 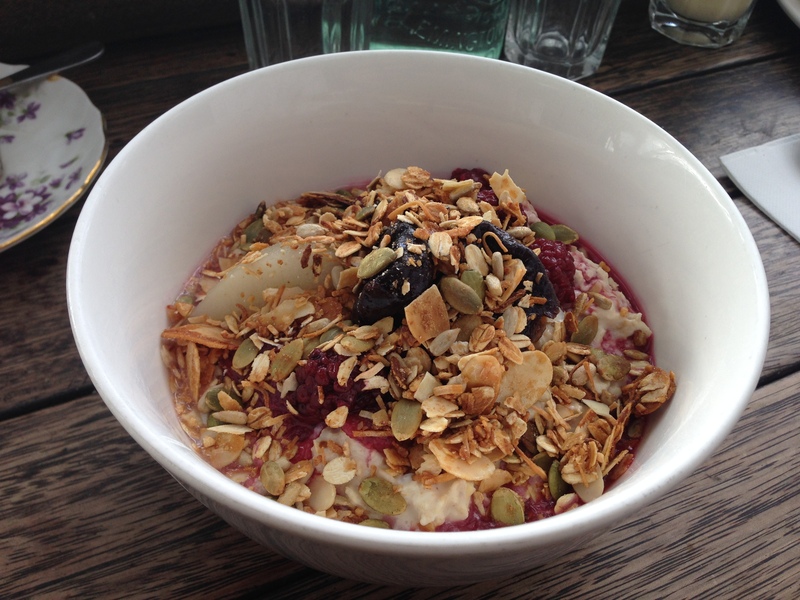 verdict: the bircher is a stand-out! p.s. fun fact: tram spelt backwards is mart!